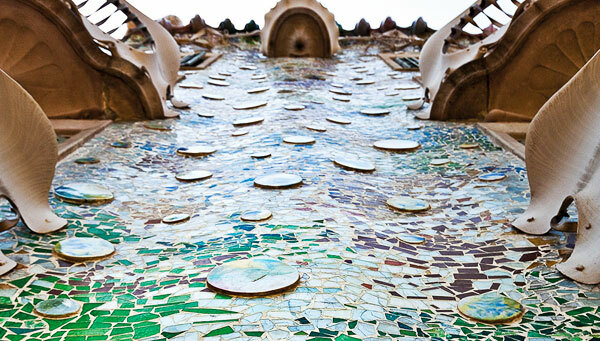 Several anecdotes and interesting facts surround Gaudí’s masterpiece. 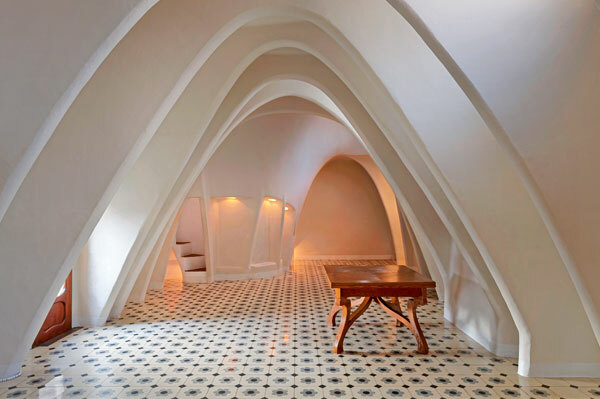 In this article we have selected 10 that are particularly reminiscent of the Catalan architect due to their creativity, mystery or visionary nature. The student who surpassed the master. Casa Batlló was not a new construction project, but rather the renovation of an austere building designed in 1877 by Emilio Sala Cortés who, interestingly enough, was Antoni Gaudí’s teacher during his architecture studies. 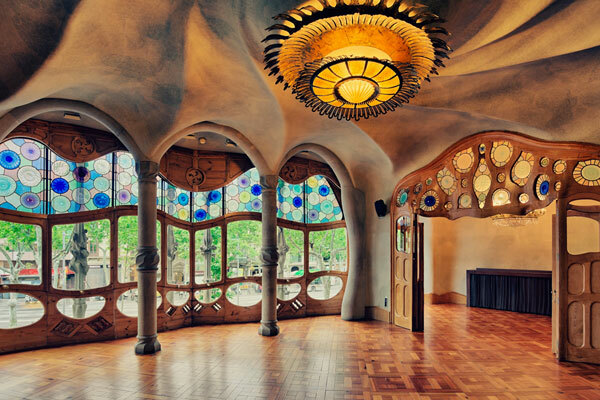 Although the initial idea was to knock down the house, thanks to the courage shown by Gaudí, it was ultimately decided to carry out a full renovation, transforming a classic style building into a masterpiece of modernism, full of imagination and creativity. 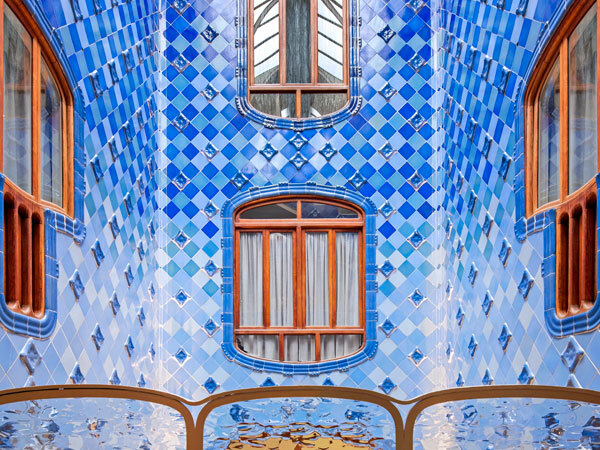 Natural light illuminates every corner of Casa Batlló thanks, to a large extent, to the main skylight and two central patios decorated in blue tones, where the light is distributed. The upper tiles on the patios are darker than the lower ones and the windows increase in size the lower we descend. 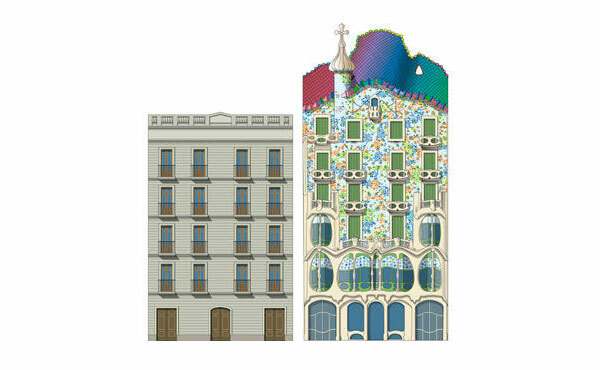 Thanks to these two innovative ideas, the colour graduations and the size of the windows, Gaudí was successful in equally distributing light through the different floors. 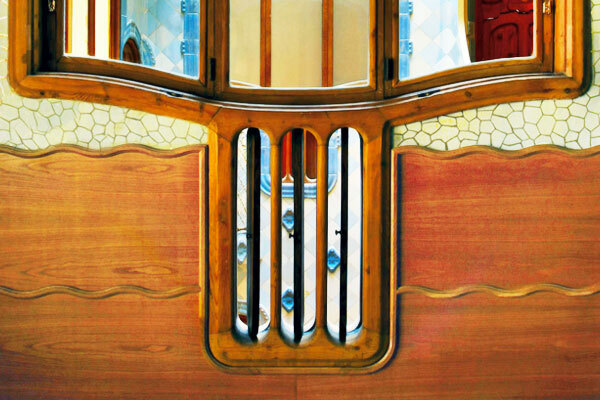 Gaudí designed an original ventilation system, including different openings on the House’s windows. These openings are manual and make it possible to regulate the air with precision, without having to open the windows fully. In turn, the design of the central patios, where the majority of air enters, helps to maintain the heat in winter and ventilate in summer. Gaudí the engineer achieved maximum comfort following energy efficiency criteria. 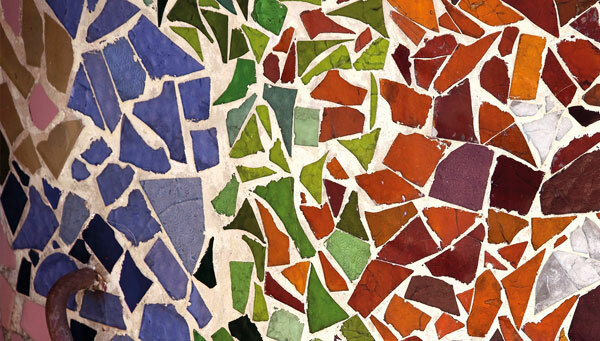 Trencadís, a type decoration with of broken mosaic, is a fundamental element in Gaudí’s work, especially on the façade of Casa Batlló. Created through pieces of broken glass and tile, it was one of the architect’s preferred techniques due to its sustainability and aesthetic value. At the House, it is one of the main decorative elements resulting in the light and colour emanating from the façade. Gaudí, a visionary, sought beauty in balance with nature. Although it often goes unnoticed, Casa Batlló’s façade, with its stone base, has waves that mirror a calm sea and that create a special and evocative light effect. This unique surface that comes into contact with the light, combined with the impressive style elements on the façade (trencadís, ceramic discs, etc. ), creates a beautiful and alluring effect, especially in the early morning and the late evening. 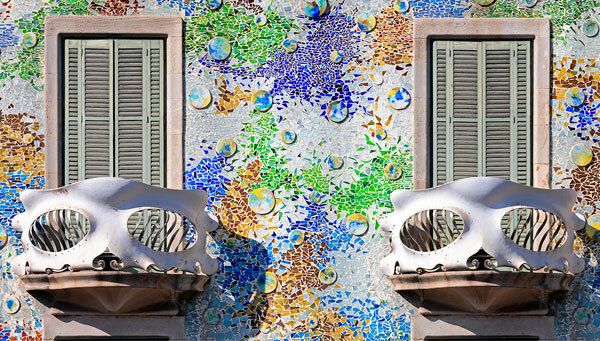 As Gaudí was so inspired by nature, Casa Batlló often appears as a living organism. 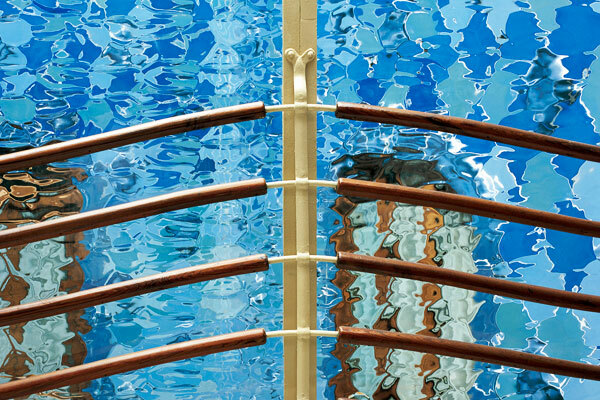 In the entrance hall to the Batlló family home, one of the main elements that particularly stands out is the wooden railing made of one single piece, a handcrafted masterpiece that evokes the backbone of a large cetacean. Upstairs, in the loft, the catenary arches give the impression of being inside the belly of a whale. There is life wherever you look. 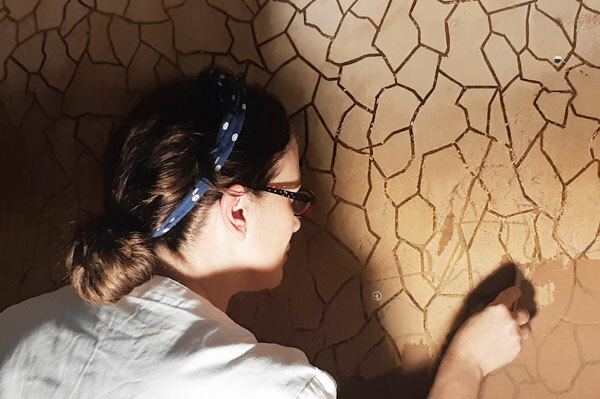 The current restoration of the Noble Floor has led to the discovery of the original coating on the walls and ceilings, revealing a surprising stucco with different colours depending on the room. Pink, blue, earthy and gold tones all blend together in the different rooms, revealing the House’s authentic skin: a secret that has been hidden for years that you can now explore. The balconies on the façade give Casa Batlló a unique personality. The cast iron undulating railings stand on a stone base carved in the shape of a shell. Their evocative shapes have led to all manner of interpretations: some see Venetian masks, others see skulls, and even turtles! 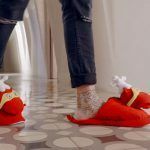 Either way, they enhance the House’s suggestive and creative nature. 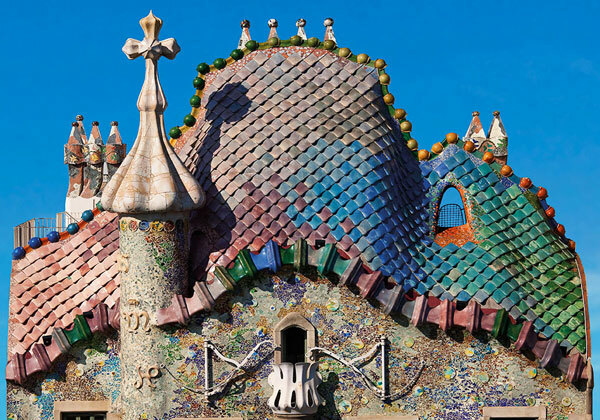 Among other names, Casa Batlló is known as “the House of the Dragon” and the symbolism on its façade is related to the Legend of Saint George, the patron saint of Catalonia. The ceramic tiles that crown the building form a colourful and wavy mantle that resemble a dragon’s back. In turn, the four-armed cross symbolises the sword that Saint George thrust into the animal to kill it. By the way, you can stroke it from the roof terrace. It’s domesticated! 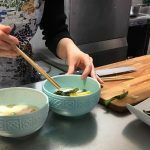 뉴스레터 등록하시고 카사바트요 소식 받아 보세요! 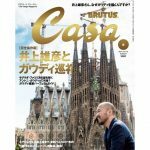 타사 쿠키를 사용하여 웹에 액세스하는 사용자의 정보를 얻는 경우 Casa Batlló에게 알려드립니다. 더 많은 정보를 원하시면 여기를 클릭하십시오.